I am intrigued by the cypress tree at Pebble Beach in CA. 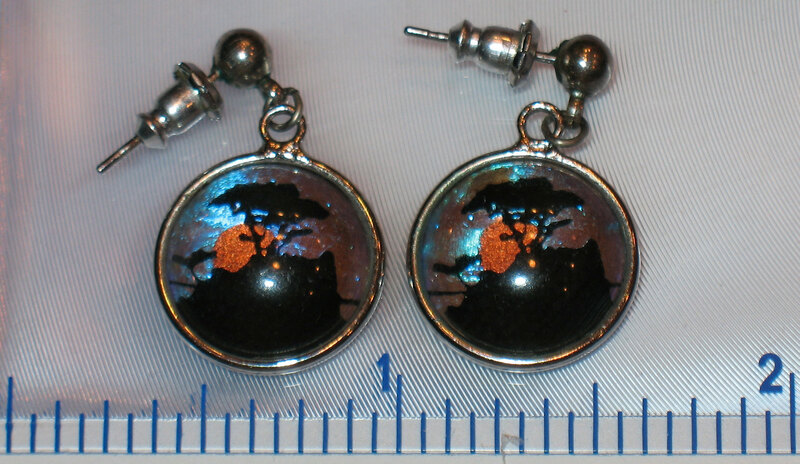 So, I bought a pair earrings and an etching when we visited the area a few years ago. And, the earrings became the inspiration for this piece, a “Pinsations” original design & stitch selection. I didn’t actually “finish” this one – probably because I’d like to make the overall size larger & more round. I would also like to redo it though & improve on the sun. I think a different stitch would look better. 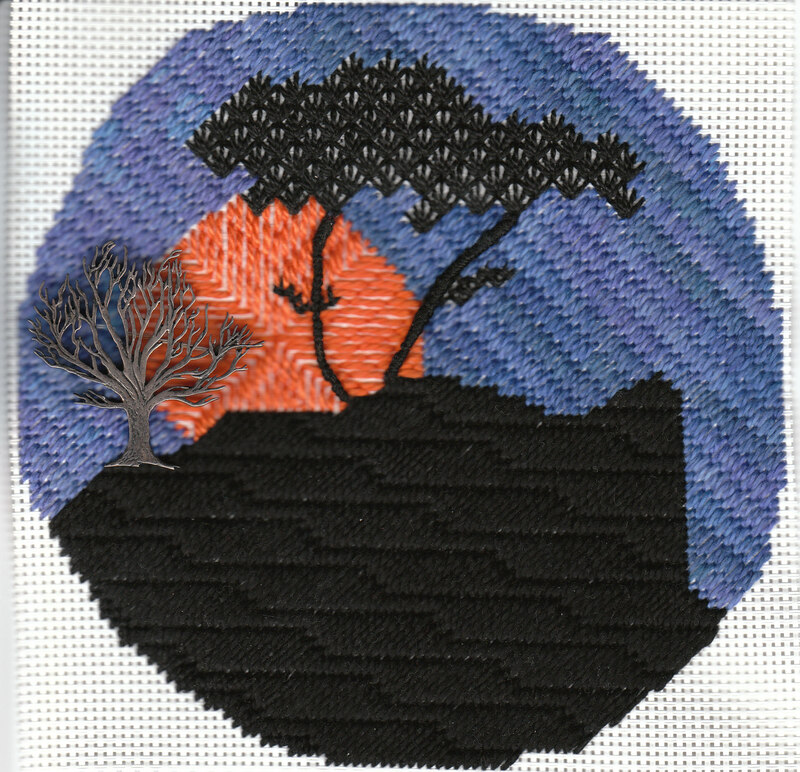 But, I am very happy with the black rock stitch which is Bunger (from The Needlepoint Book by Jo Ippolito Christensen). The leaf stitch works well for the tree. And, the overdyed Watercolors is nice for the sky. The pin is perfect for the piece. I love it when stuff comes together like they were meant to – the earring, the pin, & the stitches. So far, this is one of my favorites.